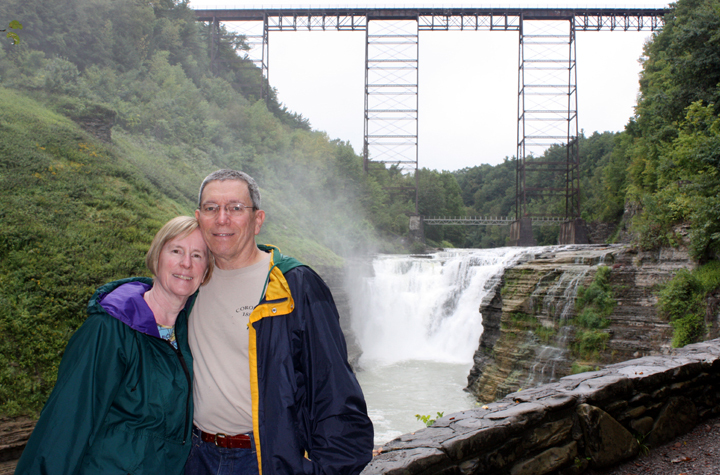 Today we were determined to see the sights here in Letchworth State Park no matter what the weather brought and we really lucked out. While rain threatened nearly all day, it never fell with any force and the worst we had to contend with was some steady drizzle and not even much of that. As things turned out, it was a great day for lots of hiking and waterfall watching and this is exactly what we did. From Middle Falls, to Upper Falls, and finally Lower Falls, we’ve now seen them all! We also toured the Letchworth Museum and the Seneca Indian Council House. We took a break to enjoy a lovely lunch at the Glen Iris Inn, formerly William Pryor Letchworth’s estate. 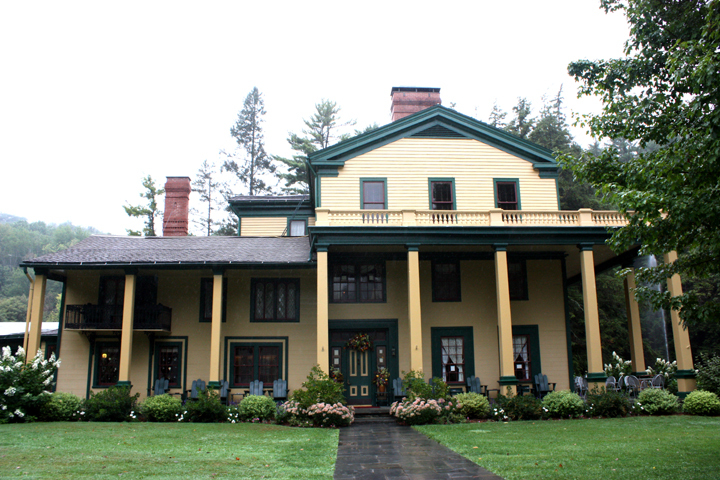 He bought the place and 1,000 surrounding acres in 1859. Nearly 50 years later he deeded his estate to the State of New York. If you have never visited this park, often referred to as the “Grand Canyon of the East,” put it on your list as it is definitely worth the trip! 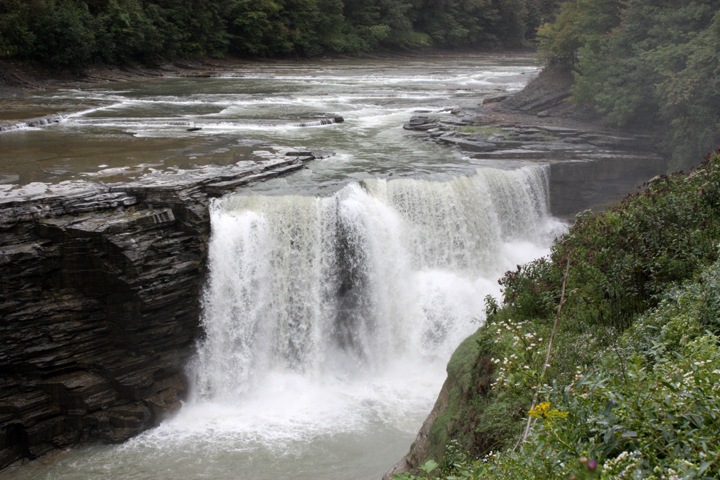 From the brochure (because I could not say it better): Letchworth State Park comprises 14,350 acres of scenic magnificence along the Genesee River. 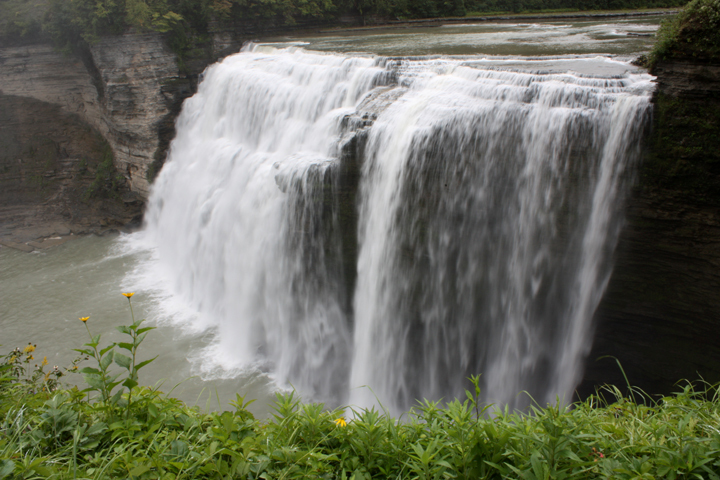 The precipitous walls of the Genesee Gorge, the river winding below, the plunge and spray of dramatic waterfalls and the lush forest all contribute to make the park one of the most notable examples of waterfall and gorge scenery in the eastern United States. We returned to our campsited at the end of the day totally exhausted after hours of walking and climing hundreds of stairs. Of course, we also took hundreds of photographs and dozens of video clips. If you want to see more than what is posted here, visit my Facebook page.